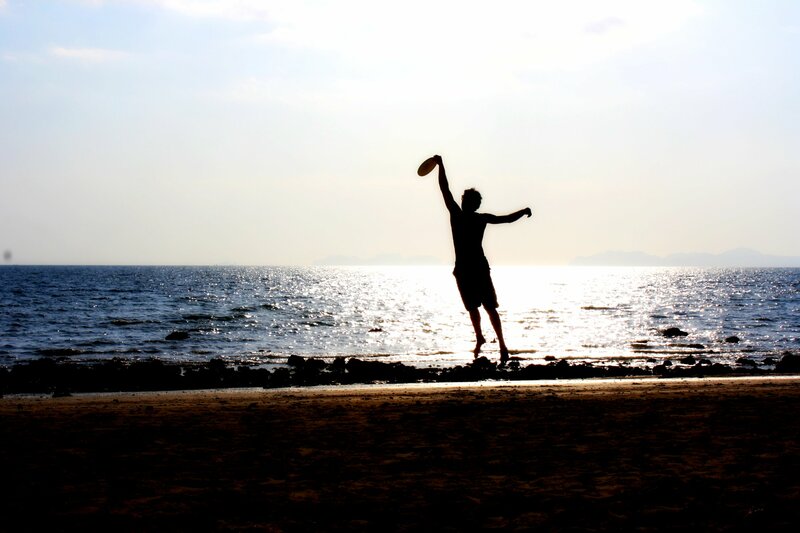 This guy must live for Frisbee. I came upon him and Alan throwing the frisbee around for twenty minutes or so and then he was called for dinner. Alan went to go take a nap, and soon enough he comes running out with his frisbee looking for more action. He asks me if my friend is around and I told him he might be later. The interaction had the feeling of “Can Alan come out to play? !” It was so cute! He proceeded to throw the frisbee around with himself for awhile, a feat that I had no idea was possible, but with this guy armed with a frisbee, anything is possible. I really like this one. Great silhouette.